"The weapon was heavy, with a basic load of the weapon and thirty-six grenades weighing a whopping thirty-five pounds. The U.S. Army has officially terminated the "Punisher." The XM25 Counter Defilade Target Engagement System, or "Punisher," was designed to engage enemy troops behind cover. 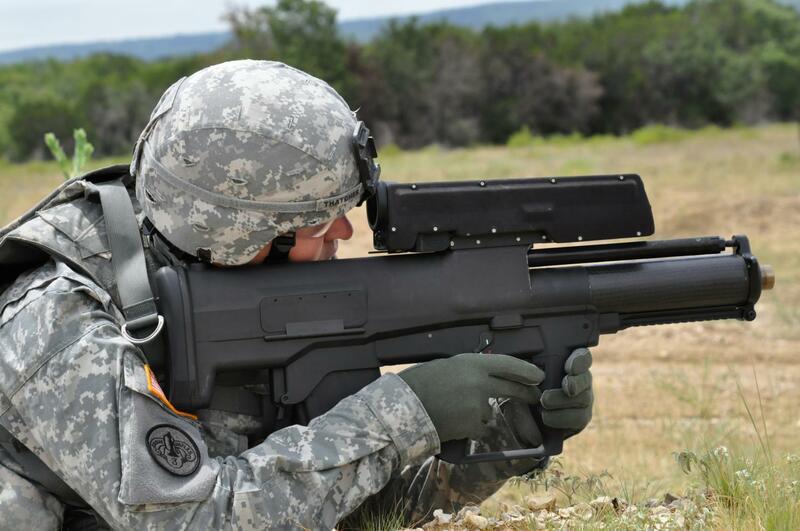 While successful, the high-tech infantry weapon was the victim of a lengthy development period, ballooning costs, a perceived lack of utility and a 2013 incident that wounded a soldier carrying it. Since the dawn of the firearm age, one of the biggest obstacles to hitting people with a bullet was the cover they could hide behind. A soldier can hide inside a doorway, or windowsill, or even a bunker, exposing himself just long enough to shoot back. Getting at that soldier requires good marksmanship and timing, outmaneuvering him, or simply blowing up the building…." I suspect a lot of the weight comes from that many rounds in the gun itself. Seems like they could probably reduce the magazine capacity, and use multiple mags worn on the body to minimize the weight on the arms. Certainly sounds like a game changer as far as small arms go. Surprised they're not at least using them as crew-served weapons on light vehicles, where weight isn't an issue. Cancelling the program due to one feed malfunction is just daft.